2 July 2015, in Port Bo square. 4 July 2015, in Port Bo square. 5 July 2014, in Port Bo square. 6 July 2013, in Port Bo square. 7 July 2012, in Port Bo square. With the participation of: group Cremats (Palafrugell), group Peix Fregit (Palafrugell), group Trio Arrels de Menorca (Menorca), group Arjau (Palafrugell) and group l’Empordanet (Palafrugell). Organisation by: Institut de Promoció Econòmica de Palafrugell. 2 July 2011, in Port Bo square. 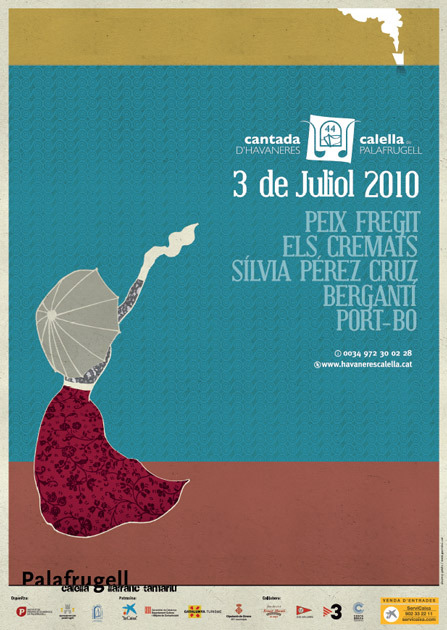 With the participation of: group Port Bo (Palafrugell), group Els Pescadors de l’Escala (L’Escala), group Boira (Lleida), group Peix Fregit (Palafrugell) and with the special collaboration of Sílvia Pérez Cruz in memory of Càstor Pérez. Organisation by Institut de Promoció Econòmica de Palafrugell. 3 July 2010, in Port Bo square. With the participation of: group Peix Fregit, group Els Cremats (Palafrugell), group El Bergantí (Malgrat de Mar), group Port Bo (Palafrugell) and Sílvia Pérez Cruz. 4 July 2009, in Port Bo square. With the participation of: group Peix Fregit, group Arjau (Palafrugell), group La Taverna (Sant Feliu de Guíxols), group Trio Arrels de Menorca (Menorca) and Lucrecia. 5 July 2008, in Port Bo square. With the participation of: group Port Bo, group Peix Fregit, group l’Empordanet (Palafrugell), group Els Pirates (Molins de Rei) and group Nina. 7 July 2007, in Port Bo square. With the participation of: group Peix Fregit, group Port Bo, group Els Cremats (Palafrugell), group Pescadors de l’Escala (l’Escala), group Bergantí (Malgrat de Mar) and Marina Rossell. 1 July 2006, in Port Bo square. With the participation of: group Peix Fregit, group Port Bo, group L’Empordanet, group Arjau, group Terra Endins (Girona) and Susanna del Saz and Joan Furió. Organisation: by Institut de Promoció Econòmica de Palafrugell. 3 July 2004, in Port Bo square. 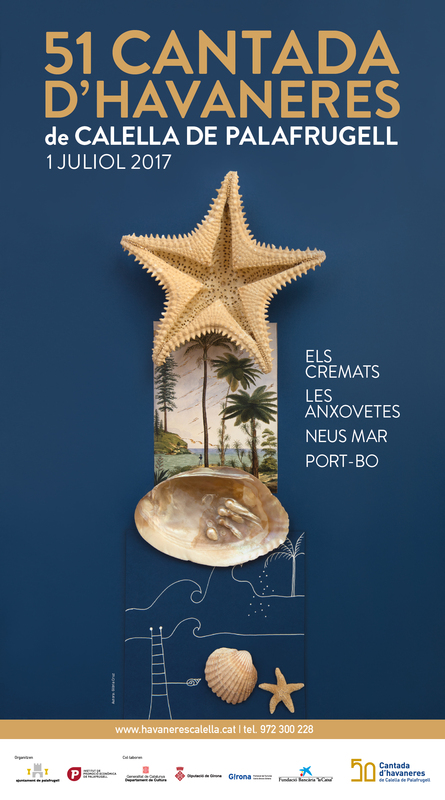 With the participation of: group Peix Fregit, group Port Bo, group Morralla (Pallejà), group Danok Bat (Euskadi) and group Liuba Maria Hevia (Cuba). 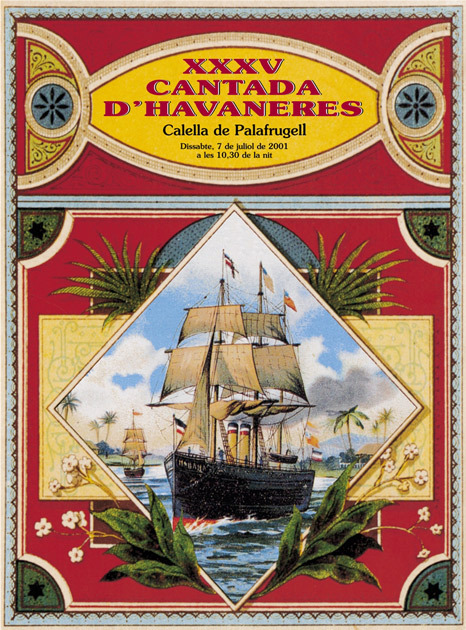 Organisation: by the Municipal tourism of Palafrugell. Source: Bastons Josep, Casanovas Carles and Febrés Xavier. 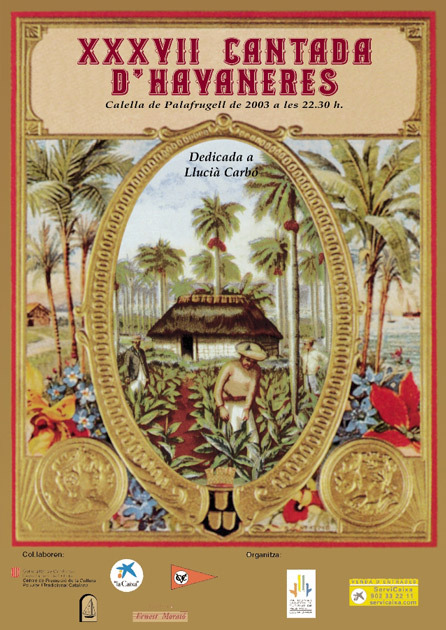 L’havanera viscuda. Editorial Pòrtic. 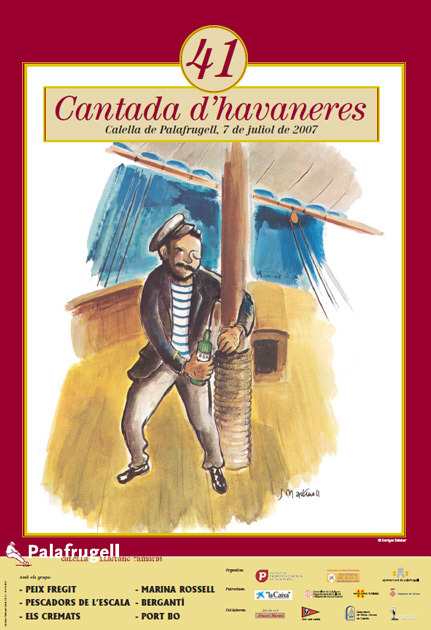 May 2004 Edition. 2 July 2005, in Port Bo square. With the participation of: group Peix Fregit, group Port Bo, group Els Cremats, group Barca de Mitjana (Premià de Mar), group Castilla canta habaneras (Valladolid) and group Arrels de la Terra Ferma (Lleida). 5 July 2003, in Port Bo square. With the participation of: group Peix Fregit, group Port Bo, group Cremats, group L’Espingari, group Port Vell and group Ultramar. 6 July 2002 in Port Bo square. With the participation of: group Peix Fregit, group Port Bo, group Àmfora, group Marejol, group Bergantí and group Pirates. 7 July 2001, in Port Bo square. With the participation of: group Peix Fregit, group Port Bo, group Duet, group Mariners de Riera, group Veus dels Pescadors and group Arrels de Terra Ferma. 1 July 2000, in Port Bo square. With the participation of: group Peix Fregit, group Port Bo, group Pescadors de l’Escala, group Duet and group Barca de Mitjana. 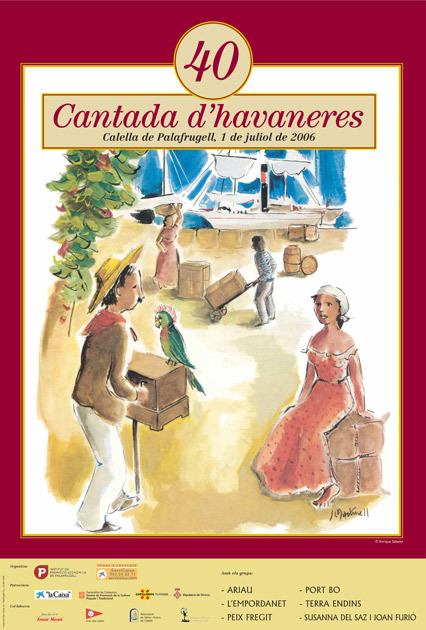 Organisation : by the Municipal tourism of Palafrugell. 3 July 1999, in Port Bo square. With the participation of: group Peix Fregit, group Port Bo, group Terra Endins, group Duet, group L’Espingari and group Xarxa. 4 July 1998, in Port Bo square. With the participation of: group Peix Fregit, group Port Bo, group Taper, group Gavina, group Bergantí and group Vallparadís. 5 July 1997, in Port Bo square. 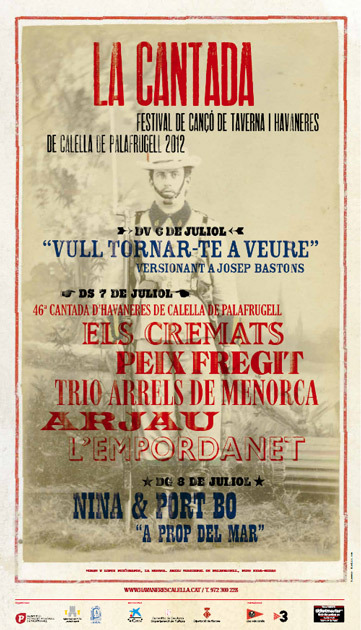 With the participation of: group Peix Fregit, group Port Bo, group Duet, group Arrels de Terra Ferma and group Port Vell. The group Los 5 Bilbaínos (also called Los Bocheros), went up on stage to sing “Maite”. 6 July 1996, in Port Bo square. 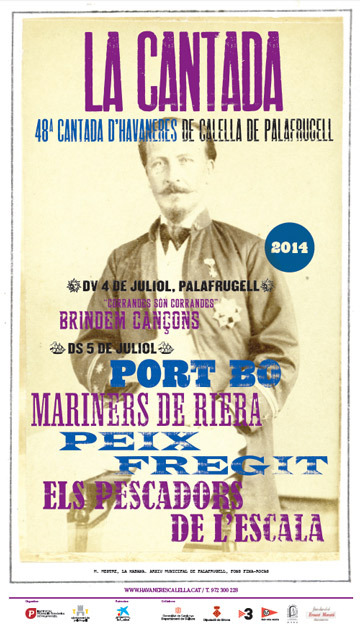 With the participation of: group Peix Fregit, group Port Bo, group La Garota and group Pirates (Molins de Rei). 6 July 1985, in Port Bo square. 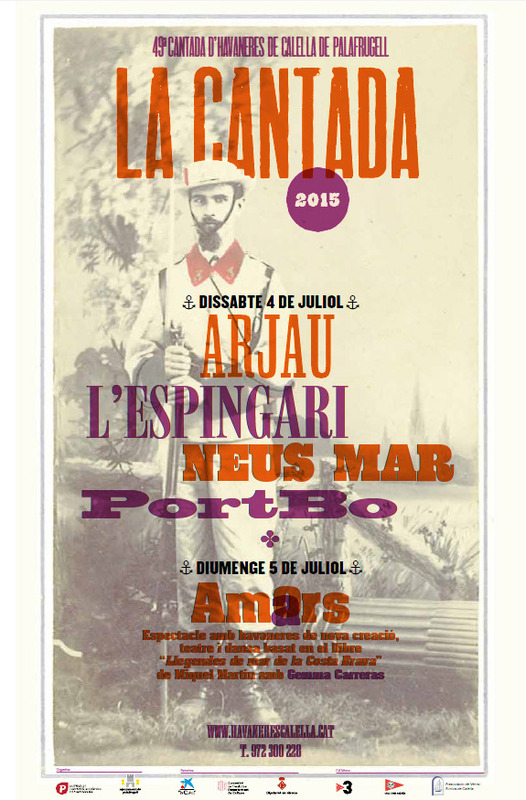 With the participation of: group Peix Fregit, group Port Bo, group Quatre Veus and group Mar Endins (Barcelona). 1 July 1995, in Port Bo square. With the participation of: group Peix Fregit, group Port Bo, group Taper, Pescadors de l’Escala and group Cavall Bernat. 7 July 1984, in Port Bo square. With the participation of: group Peix Fregit, group Port Bo, group Cavall Bernat and group Quatre Veus (Granollers). 2 July 1994, in Port Bo square. With the participation of: group Peix Fregit, group Port Bo, group Taper, group Bergantí and group Marinada (Cerdanyola del Vallès). 2 July 1983, in Port Bo square. With the participation of: group Peix Fregit, group Port Bo, group Terra Endins, group Bergantí (Malgrat de Mar). 3 July 1993, in Port Bo square. With the participation of: group Peix Fregit, group Port Bo, group Taper, group Veus dels Pescadors and group Terra Ferma (Lleida). 3 July 1982, in Port Bo square. With the participation of: group Peix Fregit, group Port Bo, group Ventijol, group Terra Endins and group Barretina. 4 July 1992, in Port Bo square. 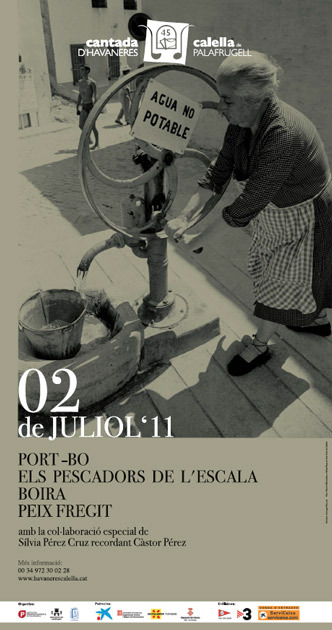 With the participation of: group Peix Fregit, group Port Bo, group Taper, group Veus dels Pescadors (L’Escala) and Família Picarol (Barcelona). 4 July 1981, in Port Bo square. With the participation of: group Peix Fregit, group Port Bo, group Terra Endins and group Barretina (Malgrat de Mar). 5 July 1991, in Port Bo square. With the participation of: group Peix Fregit, group Port Bo, group Terra Endins and group Quatre Veus. 5 July 1980, in Port Bo square. 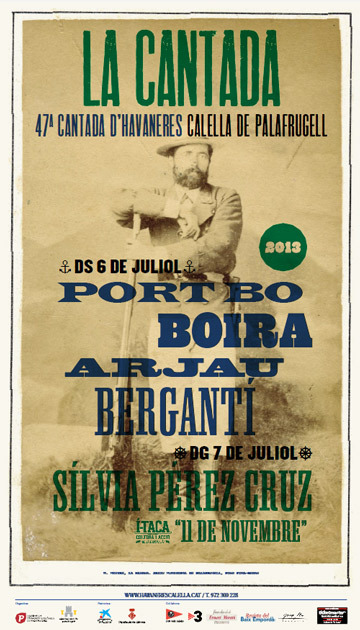 With the participation of: group Peix Fregit, group Port Bo, group Cavall Bernat, group Roses Canta and group Barretina. 7 July 1990, in Port Bo square. With the participation of: group Peix Fregit, group Port Bo, group Terra Endins, group Cavall Bernat and group Mariners de Riera. 2 July 1979, in Port Bo square. 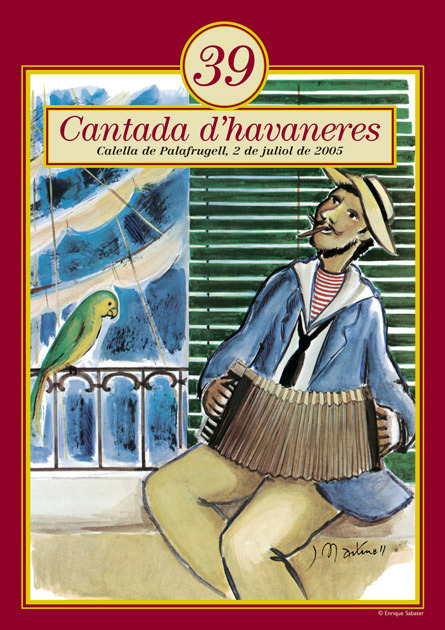 The Cantada celebration was definitively changed from the first Saturday of August to the first Saturday of July. 1 July 1989, in Port Bo square. With the participation of: group Peix Fregit, group Port Bo, group Mar Endins, group Llops de Mar, group Taper and group Linda Mirabal (Cuba). 5 August 1978, in Port Bo square. With the participation of: group Peix Fregit, group Port Bo, group Terra Endins, group Ventijol, Ricard Balil and Bettina Lozoya and group Calafat (Barcelona). 2 July 1988, in Port Bo square. With the participation of: group Peix Fregit, group Port Bo, group Bergantí and group Mar Endins. 6 August 1977, in Port Bo square. With the participation of: group Peix Fregit, group Port Bo, group Terra Endins, group Ventijol and group of Calella. During the closing ceremony, for the first time ever, the public demanded to sing the habanera “El meu avi” by Josep Lluís Ortega Monsaterio, as a chorus. 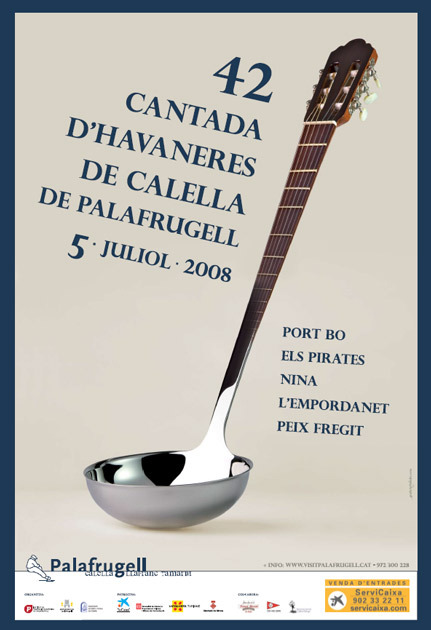 Until then the Cantada de Calella had traditionally ended with the entire audience singing “La bella Lola”. 4 July 1987, in Port Bo square. With the participation of: group Peix Fregit, group Port Bo, group Pescadors de group l’Escala and group Vallparadís (Terrassa). 7 August 1976, in Port Bo square. With the participation of: group Ventijol, group Port Bo, group Canadell (Palafrugell), group Palamós, group Peix Fregit, group Terra Endins, group Jacomet, group Calella and group Cap Roig. 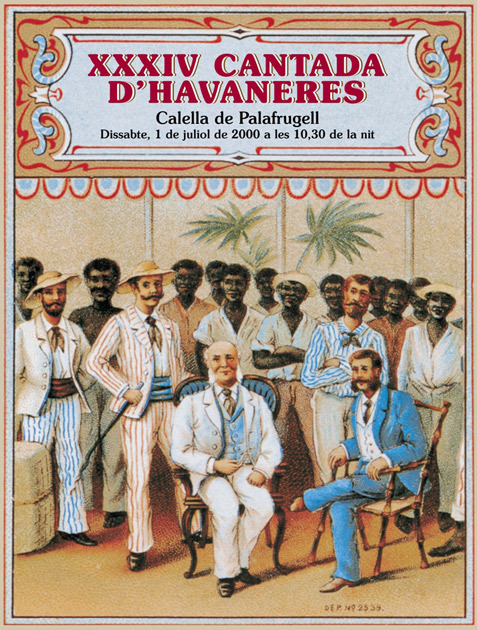 Organisation: by the Amics de Calella Association. 5 July 1986, in Port Bo square. With the participation of: group Peix Fregit, group Port Bo, group Veus de Besalú and group Llops de Mar (Sant Feliu de Guíxols). 2 August 1975, in Port Bo square. With the participation of: group Port Bo, group Calella, group Oreig de Mar (l’Escala), group Cap Roig (Terrassa), group Peix Fregit (Palafrugell), group Terra Endins and group Gavina (Palafrugell). 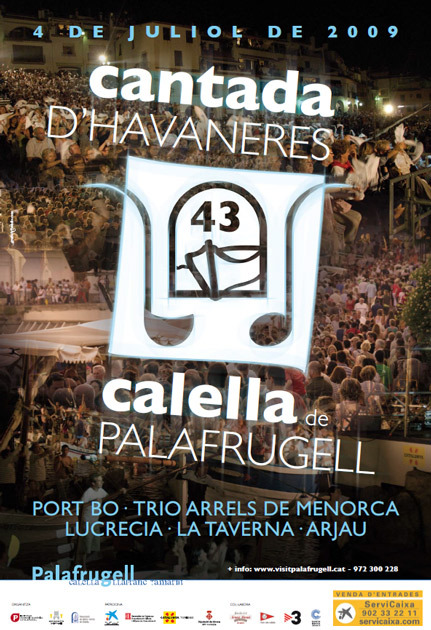 Organisation by the Amics de Calella Association. 3 August 1974, in Port Bo square. With the participation of: group Peix Fregit (Palafrugell), group Terra Endins (Girona), Ventijol (Palamós), twelve voices of group Cap Roig (Terrassa) and group Port Bo. 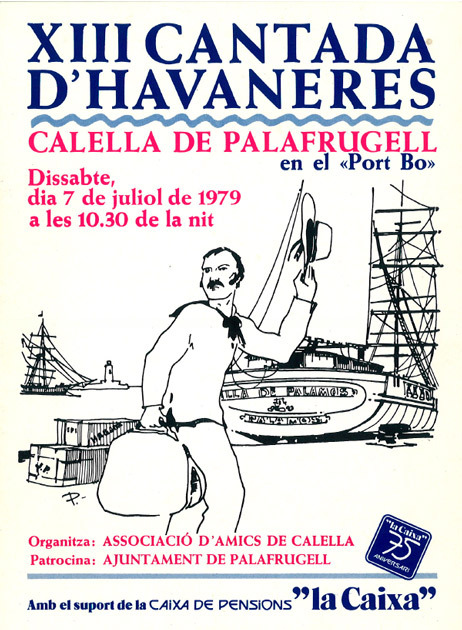 Organisation : by the Amics de Calella Association. 4 August 1973, in Port Bo Square. With the participation of: group Port Bo, group Calella, group Alba (la Bisbal) group Coral Sant Pere d’Osor, group coral Rebroll and group Empordanesa de Palamós. 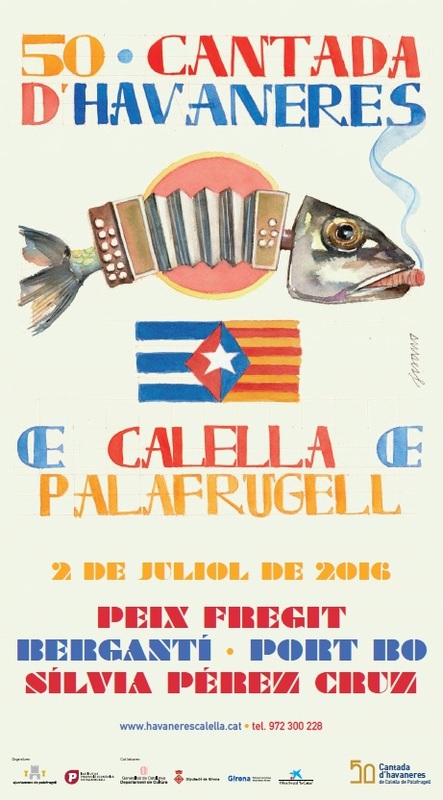 Organisation: The Amics de Calella Association took over the organisation again with the collaboration of the Palafrugell City Council and the Tourism Community of Costa Brava. 26 August 1972, in Port Bo square. With the participation of: group Port Bo, group Calella, group Alba (la Bisbal), group Cavall Bernat (Platja d’Aro), Oreig de Mar (l’Escala). 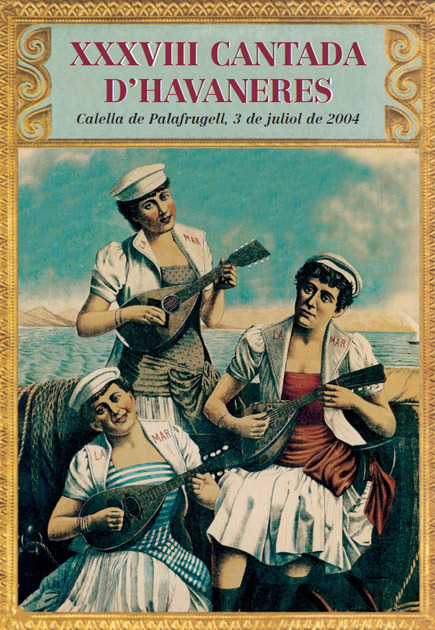 Organisation: In the summer of 1972, the president of the Amics de Calella Association, Antoni J. Rovira, was prevented from directing the Cantada and the Association announced that there would be no Cantada. A spontaneous group, led by Ortega Monasterio, decided at the last minute to set up the Cantada in any way possible, with no chairs, no stage and no jury. 7 August 1971, in Port Bo square. With the participation of: group Port Bo, group Alba (la Bisbal) group Cavall Bernat (Platja d’Aro), Oreig de Mar (l’Escala) and la Coral Armonía Antoniense (Sant Antoni). Performing for the first time “El meu avi” by Ortega Monasterio. Musical director: Ortega Monasterio. 25 July 1970, in Port Bo square. With the participation of: group Port Bo, la Coral Sellarés (Gavà), group Alba (la Bisbal), group Cavall Bernat (Platja d’Aro) and group Barrufets (Palamós). Musical director: Ortega Monasterio. 2 August 1969, in Port Bo square. With the participation of: group la coral menorquina Ca Nostra, group Calella (dels Jiménez, Sol i Penas), group Alba (la Bisbal), group Cavall Bernat (just made by Ortega Monasterio in Platja d’Aro) and group Port Bo. 10 August 1968, on the terraces by Calau beach. With the participation of: group Port Bo, group Alba (la Bisbal), Francesc Granés. Outside the programme: Els Roquers (Platja d’Aro) led by Ortega Monasterio and the veterans Enriqueta Batllent and Maria Llenas. 2 September 1967, on the terraces of la Vela and Can Palet restaurants, by Calau beach (next to Port Bo beach). 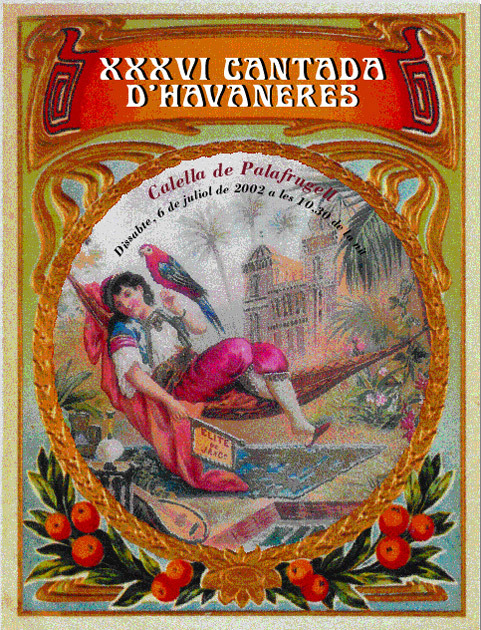 With the participation of: group Port Bo (from Calella); group Alba (from la Bisbal), Lluís Maneras and Alejandro Ferrer; Esperança, Salvador and Ricard Balil; the Jiménez brothers and the Penas brothers.